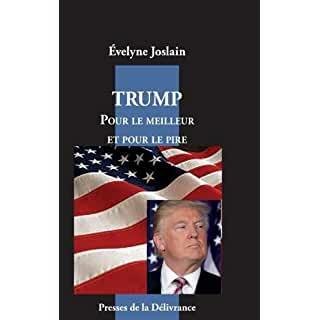 Évelyne Joslain, the author of Trump: For Better or Worse, chatted with Radio Courtoisie's Henry de Lesquen about President Donald Trump's New America and the Reasons for His Success. Henry de Lesquen, assisté de Joëlle, recevait Evelyne Joslain, politologue, essayiste, spécialiste du monde anglo-saxon, Nicolas Stoquer, diplômé de l'IEP, fondateur du Rassemblement Pour la France, défenseur du patrimoine ; Patrick Simon, avocat, président de l'ALEPS ; Charles-Henri d'Elloy, écrivain. 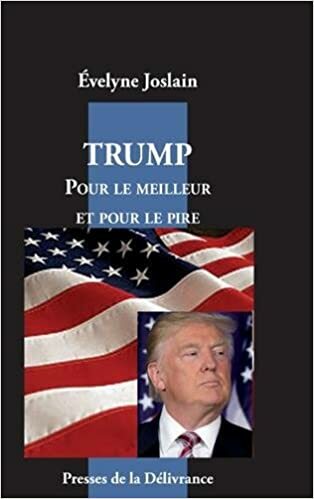 Thèmes : “La nouvelle Amérique du président Donald Trump ; Chronique du grand-large : « Les raisons du succès de Donald Trump » ; Apologie de la peine de mort ; Chronique du courrier des auditeurs”. 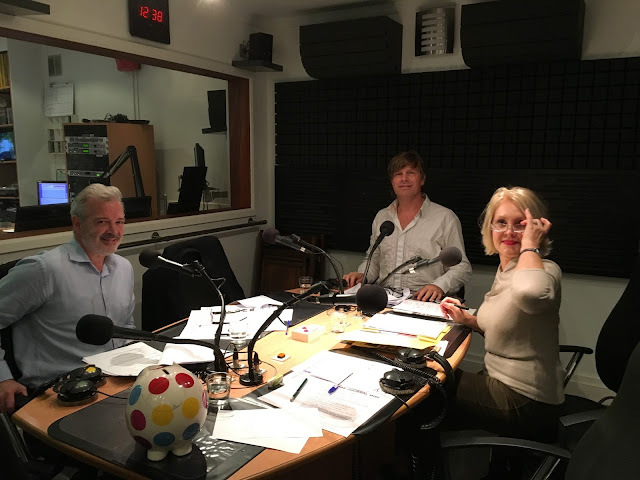 Familier depuis 1988 des émissions de Radio Courtoisie, où il était fréquemment invité en tant que président du Carrefour de l'Horloge, Henry de Lesquen y a créé le libre journal des idées politiques en 2003. Après la mort du fondateur de Radio Courtoisie, Jean Ferré, en 2006, et selon les vœux de celui-ci, il lui a succédé, d'une part comme patron de la radio, d'autre part comme patron du libre journal du lundi soir. Membre du conseil d'administration de l'association depuis 2005, il en est le président depuis 2007. Né en 1949, marié, père de cinq enfants, Henry de Lesquen est haut fonctionnaire. Il habite avec son épouse à Versailles, où il est conseiller municipal depuis 2001 sous l'étiquette "divers droite". Il préside en outre le Club de l'Horloge et a participé dans le cadre de ce cercle de pensée politique indépendant des partis à la rédaction d'une vingtaine de livres, dont La Politique du vivant et Penser l'antiracisme. Il préside également l'association Voix des Français : www.vdfr95.com. Twitter : @hlesquen. Coverage of the hate crime in Chicago is no better in the French press than in the whitewashing press in the United States, as evidenced by this 20 Minutes and AFP report. Traumatized, the victim is having a hard time communicating. Four persons have been caught and arrested, announced the Chicago police, after the broadcast of a video where they are seen mistreating a young man while shouting racist insults. Still nothing unusual about race, with the "shouting racist insults" part giving the idea that, if anything, it seems to be whites hectoring an African-American. The suspects, who are black, and the victim, who is white, are all young adults. For some reason, you see, what matters is that all the "actors" are young. Of course. And, indeed, race would be featured — prominently — in the headline as well as in the opening paragraph and, in fact, throughout the entire article. Traumatisée, la victime peine à communiquer. Quatre personnes ont été appréhendées et placées en garde à vue après la diffusion d’une vidéo où on les voit maltraiter un jeune homme en criant des insultes racistes, a annoncé ce jeudi la police de Chicago, dans le nord-est des Etats-Unis. Why can’t the alt-left call a hate crime a hate crime? Is it because some hate crimes are more hateful than others? Or less? Finally, yesterday, the Chicago police charged the four aspiring rappers with a hate crime for allegedly beating, torturing and kidnapping a white mentally disabled kid from the suburbs. They were screaming “Bleep white people!” and “Bleep Trump!” but none of the PC posse wanted to … uh, jump to any conclusions. Take Obama — please. 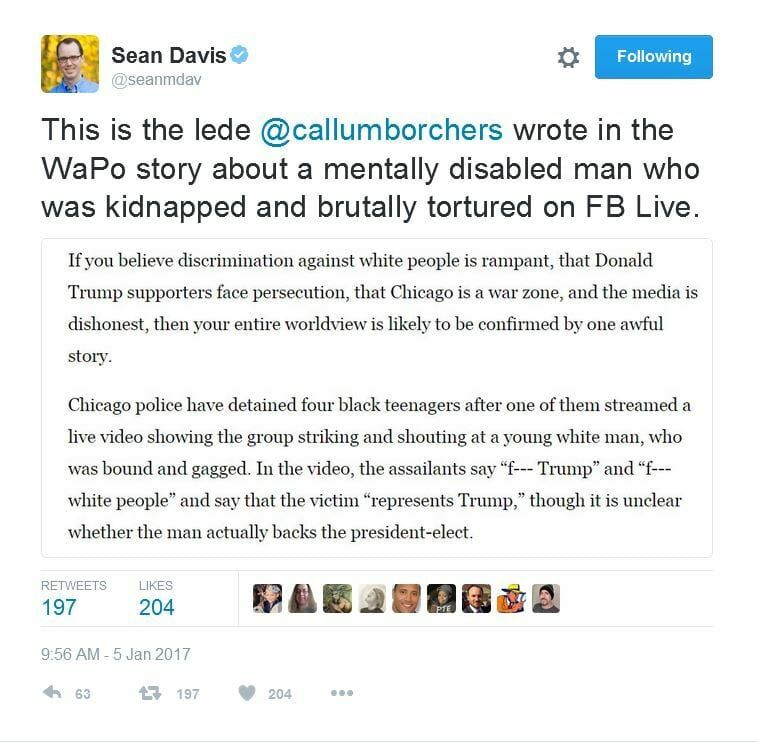 His flack Josh Earnest was asked if this was a hate crime. Bad home training. Hey, I’ll bet these at-risk youths were turning their lives around too. That’s why one of Lemon’s guests, one Symone Sanders, said that we shouldn’t be “callously classifying” a kidnapping accompanied by a few chants of “Bleep white people!” as a hate crime. Apparent. On MSNBC it was called an “apparent beating.” Apparently, whoever wrote these headlines didn’t see the video. What if this had happened to some Muslim terrorist at Gitmo? The same pajama boys now averting their eyes from the truth would be hollering for war crimes trials. This wasn’t the first post-election black-on-white hate crime on the West Side. In November, a 50-year-old white man was dragged from his car by four people screaming obscenities about Trump. That hate crime was likewise recorded on videotape. Police arrested Rajune Lewis, Dejuan Collins, Julian Christian and a juvenile and … do you remember seeing anything about this on the network newscasts? Me neither. Muffy banned them from campus and they were kicked out of their frat. They had to hire lawyers to fight Muffy’s fake news. If it wasn’t for double standards, the alt-left wouldn’t have any standards at all. There was no White House commentary, and no mass marches or riots. And not all that much press attention. Because these horrors did not Advance The Narrative. Any hope that the Democrats would conduct a serious post-mortem was dispelled with these remarks. The Democrats lost this year and they’ve been losing with some degree of consistency since Barack Obama swept to power in 2008 but they’re still avoiding introspection. As usual, they’re finding ways to flatter themselves in defeat, convinced that it was their own virtue that did them in—plus Russia, racists, and fake news, of course. The real explanation for why Democrats lost and have continued to lose is rather complicated but the nitty-gritty is this: Trump’s positions on certain issues helped win over several rust belt states that everyone had hitherto considered safely blue while holding onto the traditionally red ones. This happened despite substantial voter fraud in at least one of those rust belt states—Michigan. Was it the Democrats’ nicety that lost these states? Oh, I doubt it. I think it had something to do with their war on coal and on in industry in general. Barack Obama spoke openly of bankrupting coal-fired power plants and Hillary Clinton, his would-be successor, bragged that she would “put a lot of coal companies and coal miners out of business.” Killing people’s jobs is not very nice. Compromise is something the modern Democrat party just does not do. They’re quite skilled at all sorts of subterfuge intended to look like compromise but the real thing eludes them. In some rare instances, when the votes simply aren’t there for their pet projects, they may be forced to give a little ground. But it wounds them deeply. They quickly turn to the judiciary or to Daddy Obama to achieve what they can’t achieve through the legislature. By hook or by crook, they get what they want. Does that sound like someone who’s bending over backwards to work with others? Or does that sound like a fanatic, someone so sure of the righteousness of her cause that nothing—certainly not the will of the people—could have dissuaded her from her path? Pelosi spoke these words just days after Scott Brown pulled off an upset victory in a Massachusetts special election by promising to be the forty-first vote against Obamacare. Yes, running against the “Affordable Care Act” (snort!) was a winning proposition even in ultra-liberal Massachusetts. People didn’t want the crap sandwich Pelosi was trying to force feed them and they want it even less today. Sure, Americans generally agree that they want some kind of health care reform but they mean something that will make health care more affordable both at the point of sale and in the final analysis. Obamacare has only made it more expensive. Back in 2010 there were at least a few gullible Americans who believed all of Obama’s lies about keeping their current plans and saving the average family of four some $2500 per year. If there are still people who believe these falsehoods they must be delusional. “Parachute politics” is systemic in the Democrat party. Whether the issue is killing the unborn, stopping voter ID, redefining marriage, or any number of other issues, they absolutely do not take “no” for answer. Voting rights for felons is a good example. This year, Governor Terry McAuliffe of Virginia took the bold step of restoring voting rights to all felons in his state who had completed their sentences. 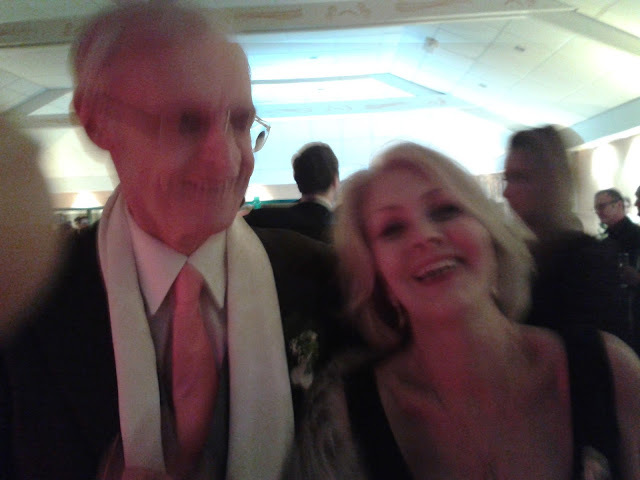 He did not attempt to amend Virginia’s constitution. He did not work with legislators to build consensus. He simply decreed it. Not that I doubt Maxine Waters’ sincerity when she says this. Her problem isn’t that she doesn’t mean what she says, her problem is that she considers every concession made by her party, no matter how small and no matter how begrudgingly extracted, to be an enormous sacrifice. If the “arc of history” bends toward her own demented definition of justice why should she ever give an inch to the evil forces of reaction? In her mind she and her friends should get 100% of what they want 100% of the time because they are self-evidently right. It’s this attitude that makes compromise nearly impossible. She’s not alone. Congressman Keith Ellison, who is a strong contender to replace Donna Brazile as the next chairman of the DNC, said that “All there is to do is vote ‘no’” to whatever Trump and the Republicans propose. Now there’s some of that famous bipartisanship! I hope the Republican leadership heard Ellison and realizes that he and much of his party cannot be won over. They can be opposed and hopefully defeated but they can’t be swayed from their reflexive opposition. Please don’t try. I can recall a time not long ago when Ellison’s and Waters’ defiant attitude would have been called “obstructionism.” Of course that was when some Republicans weren’t kowtowing to President Obama. (Others were kowtowing their asses off, by the way.) Things are different now. I also recall that “obstructionism” was not just unseemly but racist to boot. Not anymore. Now that I think about it, there was also a time in the recent past when Republicans’ “obstructionism” justified presidential end-runs around Congress. Is that still fair play or did that change too? But don’t let Maxine Waters fool you. She may try to pretend that extraordinary circumstances have driven her to adopt a never-before-seen attitude of resistance but that just isn’t true. She was a partisan warrior before November 8th just as she’s a partisan warrior now. She was not “nice” when the Democrats ran the show and neither was the rest of her party. Their 2006 and 2008 victories convinced them that the country had gone left for good. What was the sense in reaching across the aisle to the moribund minority? Liberals are rewriting history before our very eyes, inventing some mythical time when the Democratic majority extended a hand of mercy to those evil Republicans only to have it slapped away. Those of us with memories longer than a goldfish’s know better. 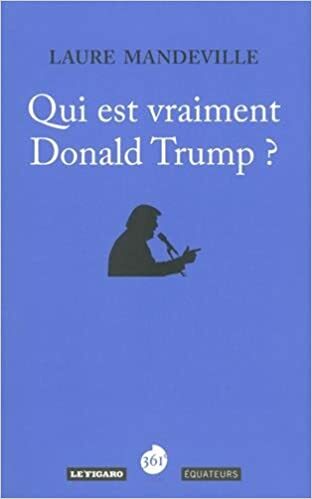 The Republican onslaught during America's presidential elections were the subject of Radio Courtoisie's Libre Journal du nouveau monde segment as Évelyne Joslain (the author of Trump: For Better or Worse) chatted with Paul Reen, a leader of Republicans Overseas, and blogger/journalist/author Erik Svane. Evelyne Joslain, assisté de Nathalie, recevait Erik Svane, journaliste, écrivain et Paul Reen, vice-président des Républicains Outre-mer, sur le thème : « Les succès électoraux des Républicains ». 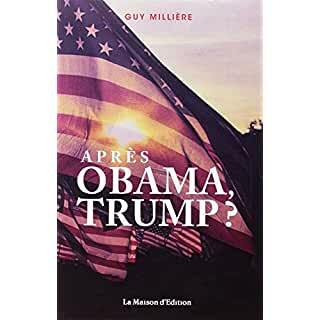 Among the rare non-negative books about Donald Trump that appeared on the French market in 2016 were Evelyne Joslain's Trump : Pour le meilleur et pour le pire (Trump, For Better and Worse), Guy Millière's Après Obama, Trump ?, André Bercoff's Donald Trump. 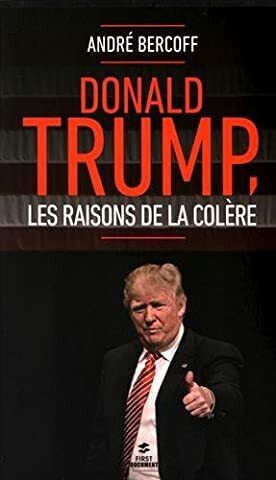 Les raisons de la colère (Donald Trump: The Reasons for the Anger), and Laure Mandeville's Qui est vraiment Donald Trump ? (Who Is Donald Trump Really? ).